One of our newest shooters just described 5 stand as a “round of sporting clays without the walk through the bush”. You could also say it’s a round of sporting clays without the mosquito’s. Our 2016 5-stand program is set to be open on the first SUNDAY of each month beginning at 12Noon with last sign up at 2:00PM. 5-stand will start 1/2 hour later in the winter months of Jan., Feb., and March. A round of 5-stand consists of 25 targets thrown from any of six stations. Rabbits, Batue’s, Mini’s, nothing is off the table here. Each station has a different venue of targets being thrown. From bouncing rabbits to springing teal this is a truly challenging game for shotguns. Be sure to download the handy schedule of shoots just below our picture display. Equipment for this sport can be described as “anything goes”. Most nights you will see everything from expensive over/unders to economical entry level pump guns. One of our members shoots a bolt action. That’s challenging. 12 and 20 are the usual gauges used. Open chokes to modified choke probably best. 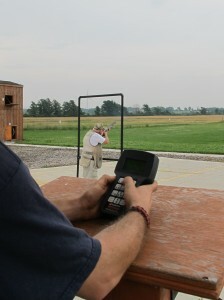 Come to the line with 50 shotshells; you can shoot twice at each target if you need to. Cost? 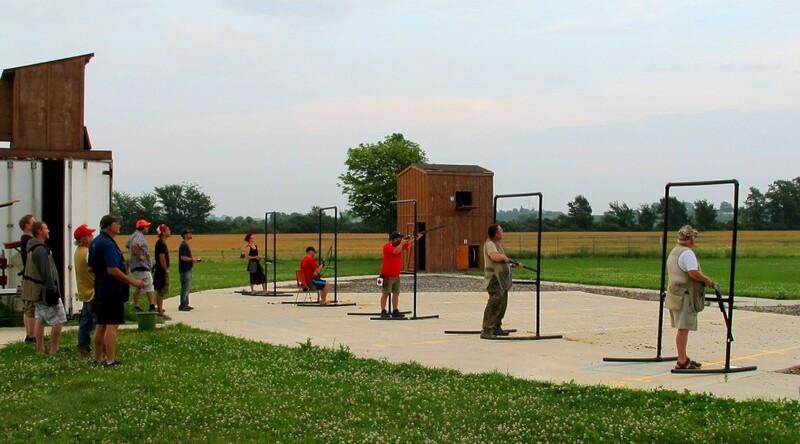 A round of 5-stand is ….$4.00 ($5 if a non-member)….where can you shoot cheaper? As for all our shotgun sports at RRGC you do not need to be a member of the club to participate. Guests are always made welcome. If you’ve never tried this before, now’s the time. Let the scorekeeper or range official know beforehand and they will set you up with an experienced hand for your first time. And be prepared to have fun!